Taiwan’s LED industry has gradually rallied during the first half of this year, as reflected in the encouraging performance by insiders for the past few months (photo courtesy of UDN.com). Thanks to increasingly strong market demand for LED products worldwide, Taiwan's LED industry has experienced significant recovery during the first half of this year, with insiders generally scoring encouraging performance and expected to maintain the current growth momentum into the third quarter. 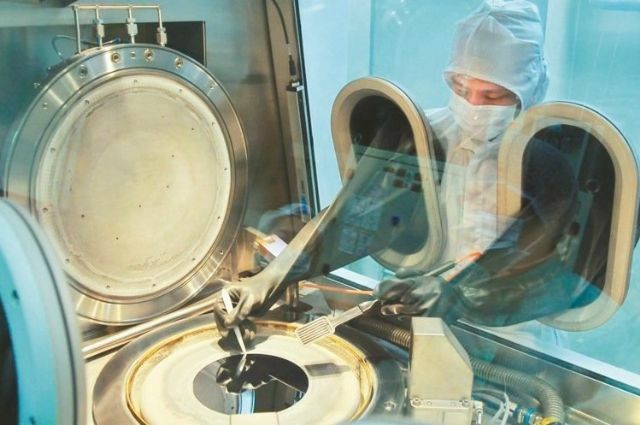 Among them, Epistar Corp., reportedly world's largest manufacturer of LED epitaxial wafers and dies, saw its performance begin to turn around in June, when its single-month revenue posted a 9.86 percent yearly increase to NT$2.107 billion (about US$65.84 million). For the first half, the firm's cumulative revenue totaled NT$12.613 billion (US$394.15 million), 5.98 percent less than the corresponding figure posted a year ago. To further drive its performance, Epistar has taken several strategies, including improving its built-to-order production, merging its subsidiaries with each others to concentrate production, and switching some production equipment for blue LED chips to roll out red LED chips to meet growing market demand, in a bid to turn red ink into black in the third quarter. Meanwhile, Everlight Electronics Inc., an LED maker, finished the first quarter with a gross profit rate of 25.03 percent and EPS (earnings per share) of NT$1.02. The company stresses it will likely witness performance continuously grow quarter by quarter, given that its production lines have been booked for the next three months. Opto Tech Corporation, a manufacturer of LED chips and related products, reported a gross profit rate of 29.5 percent for the first quarter, significantly surging from the peak of 26.99 percent it achieved for 2015, with EPS of NT$0.21, mostly due to its niche product, anti-static Zener diode, having been accepted by foreign carmakers. Also, the firm has tapped the global supply chain of wearable devices with its sensors, to better boost profitability as result. Market observers generally expect Opto Tech's performance to be rosier in the second half of this year than in the first half. Coincidentally, Unity Opto Technology Co., Ltd., a supplier of LED lighting and related products, tallied NT$702 million (US$21.93 million) in revenue for June, up 2.54 percent from May or 16.34 percent from last June, adding to its cumulative revenue of NT$2.05 billion (US$64.06 million) for the second quarter, soaring by 2.5 percent from the first quarter. For the first half, the firm's revenue totaled NT$4.05 billion (US$126.56 million), dropping 10.6 percent year on year. Unity Opto indicates that the turnaround seen in the recent months is attributable to the recovery of market demand for LED applications, such as lighting products. Under the scenario, the firm confirms that it has garnered many contract orders for LED lighting products lately. Hopefully, the company is expected to see its profits in the second quarter double from the first quarter, and end the second half with 40-50 percent more revenue than in the first half.